Start It Up: Great George Watches | Valet. In the market for a handsome watch but don't have a lot of cash to drop? Check out the latest Kickstarter campaign making waves. With a goal to create affordable and useful timepieces with classic styling, Great George bucks the standard circle shape and unnecessary ornamentation. Instead, they offer up a sharp, square shape inspired by Bauhaus-era design that's crafted from hardwearing surgical stainless steel. Inside, a Swiss Ronda 763 movement keeps accurate time. 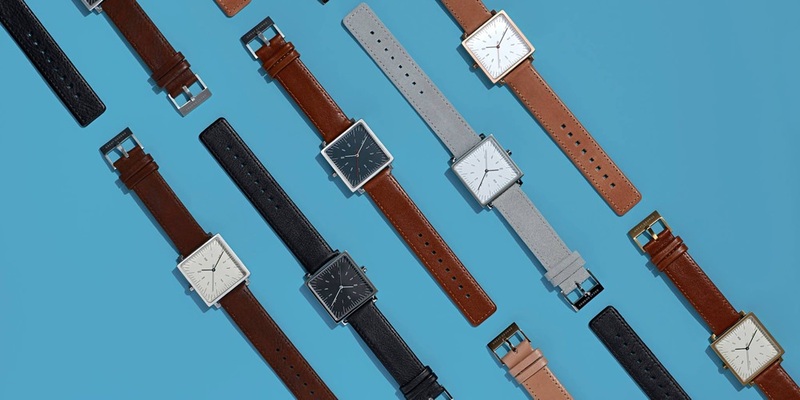 Interchangeable leather straps quickly and easily snap in and out, allowing you to change up your watch to match your look for the day or night. In short, it's a watch that suits any taste, can straddle the seasons and travel seamlessly wherever you go. What's more, if you pledge your support during their Kickstarter campaign, you'll save 50% off the standard retail price. Pledge $149 to score one of the watches with an interchangeable strap. Affordable timepieces and jewelry made especially for tough guys. A primer on horological knowledge.